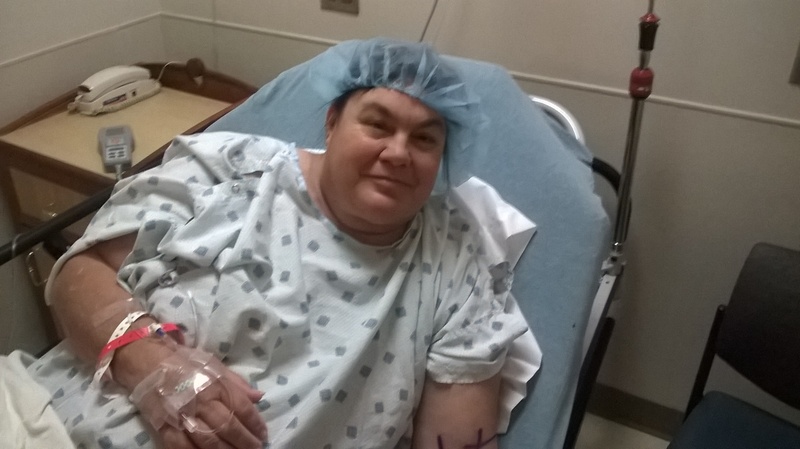 Michelle Crowley is only 49 years-old, and desperately needs a lifesaving kidney transplant! Michelle was diagnosed with a progressive and serious form of kidney disease, and she is now in end-stage-renal disease. Without a kidney transplant, her time will soon run out. Michelle relies on dialysis over three days per week, for four hours each treatment. She has been receiving dialysis now over three months, and is anxiously waiting for a kidney transplant at INTEGRIS Baptist Medical Center in Oklahoma City. Michelle is happily married and has a loving and supportive daughter, who has stood by her mom’s side throughout her illness. Michelle has worked very hard at her job her whole life, yet due to her illness and dialysis treatments, she is unable to work and make ends meet. Even with health insurance, Michelle is facing many unreimbursed medical expenses related to her upcoming transplant. Co-pays and deductibles, health insurance premiums, medical appointments, travel and lodging expenses, and caregiver fees continue to add up to more than Michelle can handle on her own. She will also be required to take post-transplant, anti-rejection medications for the rest of her life. These and other medical expenses are expected to cost upwards of $3000/month. Michelle needs your help! To help with this financial burden, a fundraising campaign in Michelle’s honor has been established with HelpHOPELive, a trusted nonprofit organization that has been providing community-based fundraising guidance to patients and their families for more than 30 years. All donations are tax-deductible, are held by HelpHOPELive in the South-Central Kidney Transplant Fund, and are administered by HelpHOPELive for transplant-related expenses only. Your contribution is greatly appreciated. Thank you for your generosity, prayers and support for Michelle’s transplant. Please do keep an eye on her campaign page, as we will be posting fundraising events and updates regularly. My name is Michelle and I am blessed to be here to tell you my story! I am trying to raise money for a kidney transplant, so I can be continue to be around my family and my kids and my grand kids a lot longer! Thank you for viewing my photos and listening to my story I appreciate every one of you!